Western Digital (WD) has announced their latest microSD card – the whopping 400GB SanDisk Ultra microSDXC card. Back in the days, SanDisk (before it got acquired by WD) was the first as well to release the 200GB microSD card. And fast forward two years, the capacity have yet doubled! The card will first come in the Ultra edition of the series and we do expect premium variants with much faster speed to become available over time. The card will be built to be for Android smartphone and tablet users, this world’s highest-capacity card can hold up to 40 hours of Full HD video and features superfast transfer speeds of up to 100MB/s to deliver premium performance. At this transfer speed, ypu could to move up to 1,200 photos per minute. 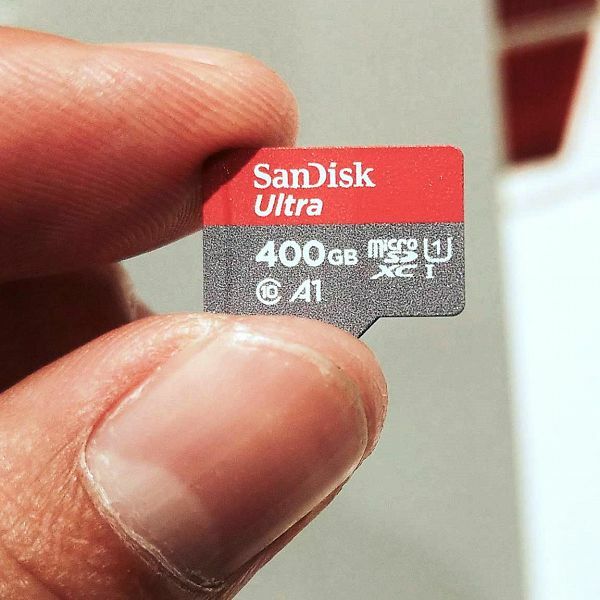 Additionally, the 400GB SanDisk Ultra microSD card meets the A1 App Performance Class specification. Phones such as the BlackBerry 10 series, including BlackBerry Z10, Q10, Z30, Classic and Passport will have no issues using the card. New BlackBerry based on Android such as the BlackBerry Priv, DTEK50/60 and KEYone will not have any issues either. The 400GB SanDisk Ultra microSDXC UHS-I card, like their other cards, will be manufactured in China. In addition, standard features such as a ten-year limited warranty is also present for the card. The card will be available at SanDisk.com and other major retailers at a U.S. manufacturer’s suggested retail price of US$249.99.